Traded for some classics & art books. 1 box of newer paperback fiction traded in. Hello, going to be in the area next week. 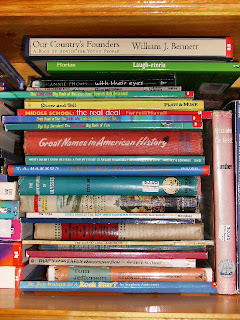 Do you carry any kids' history books such as Landmarks or Childhood of Famous Americans?? Please contact me via my Blogger profile.